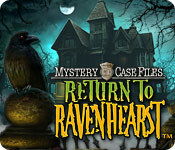 You can’t blame the MCF people for wanting to Return to Ravenhearst. The compelling storyline and inventive characters resulted in a wildly popular experience among gamers everywhere. According to the Return to Ravenhearst introduction, the queen herself has asked you to revisit Ravenhearst. 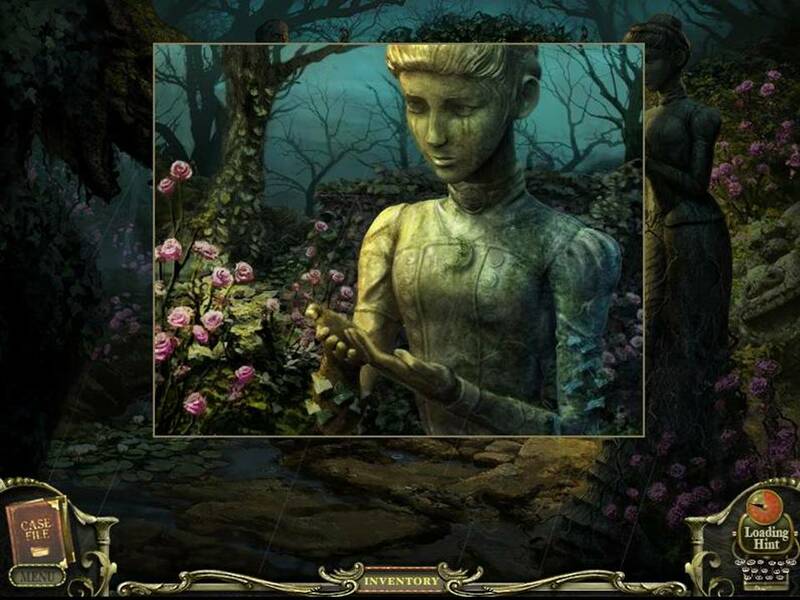 You’ll recall that in the original Ravenhearst game, you freed the soul of Emma Ravenhearst. However, you did your job just a little too well as you released the spirit of her murderer, Charles Dalimar, as well! Now, you must save the souls he continues to torment. The moaning voices of these restless spirits assail you as the game begins with high-pitched wails of "help us before he returns" and "he's kept us for so long." 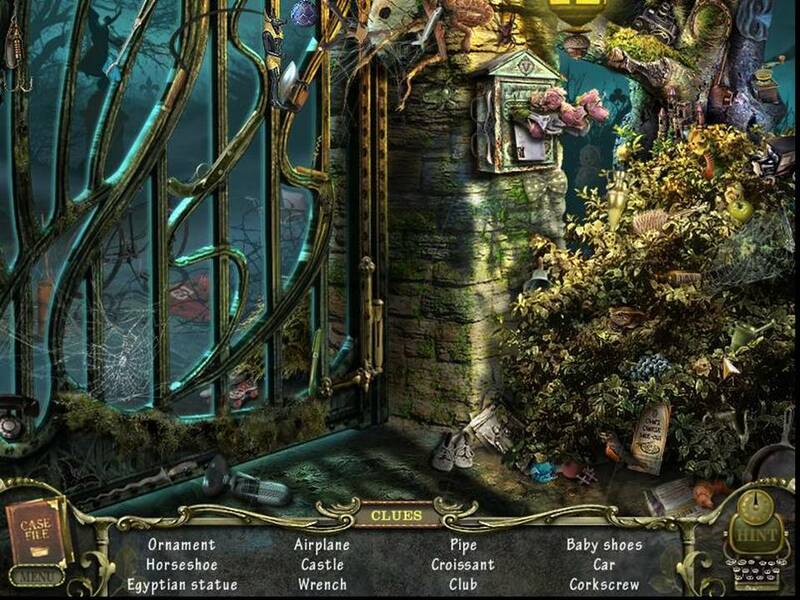 The game itself is Mystery Case Files' first to bear a strong resemblance to the hidden object adventure games of today. 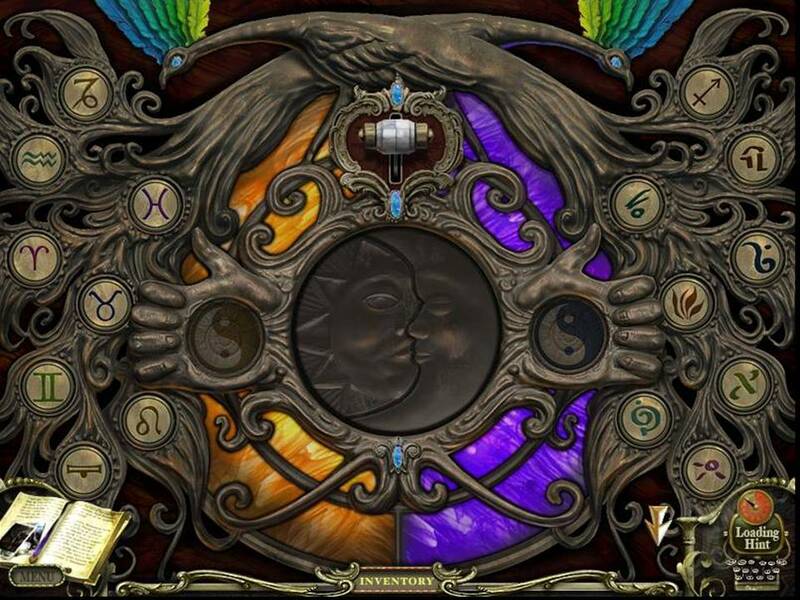 You’ll find well designed hidden object areas and mini-games aplenty to keep you entertained. What I think I find most gratifying about Return to Ravenhearst in the MCF oeuvre (yes, I’ve been dying to use the word "oeuvre" in a review!) is the responsiveness to gamer preferences that seems apparent in this latest offering. All of my earlier criticisms (minor though most of them were) have been addressed and answered with each subsequent game release. The graphics are beautiful and have achieved an improved sharpness. Hints are unlimited albeit through a maddeningly slow-to-refill hint meter. The only thing remaining on my wish list is some sort of text directions for the mini-games. With no integrated strategy guide, understanding the objective of each game can be a bigger mystery than the ultimate purpose behind Charles Dalimar’s evil intent. 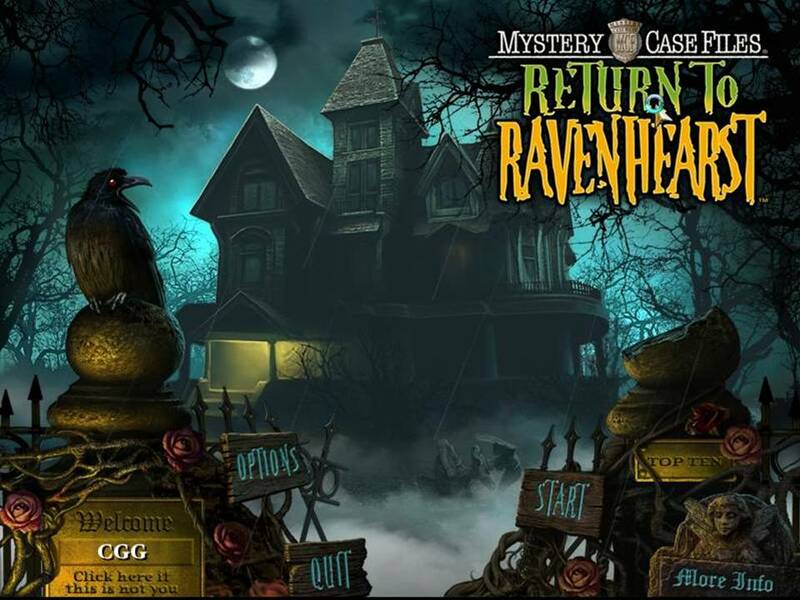 Mystery Case Files: Return to Ravenhearst is an admirable achievement for MCF and has me eagerly anticipating the final games within the retrospective. I congratulate MCF on this accomplishment and assure them that I’ve be happy to "return" to Ravenhearst as many times as they see fit to transport me there.